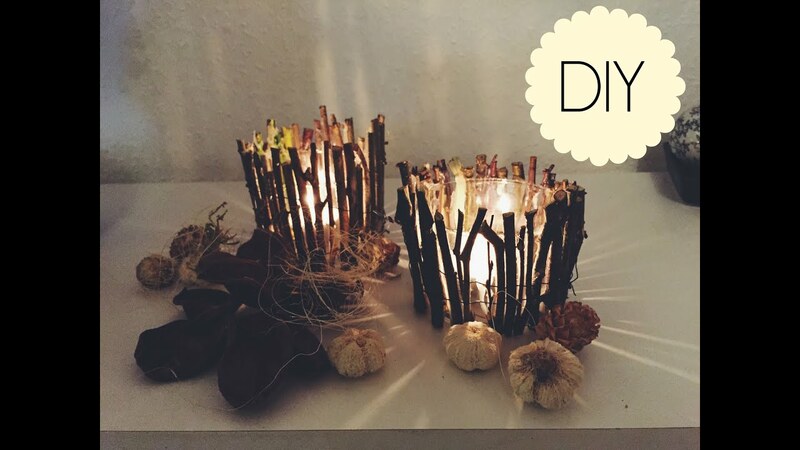 A Pinterest fail is one thing but the following DIY candle holders seem like they would set the house on fire. Doing-it-yourself is a great way to save money and express yourself creatively. Just don't get too carried away with projects that are not endorsed by safety experts, such as burning down the house with a firewood candle holder. Want to impress at your next dinner party? Go out into the woods and bring back a dead tree branch. Spray it with highly flammable gold paint, and adorn it with tall wax candles. Once all of your guests arrive light the wicks. 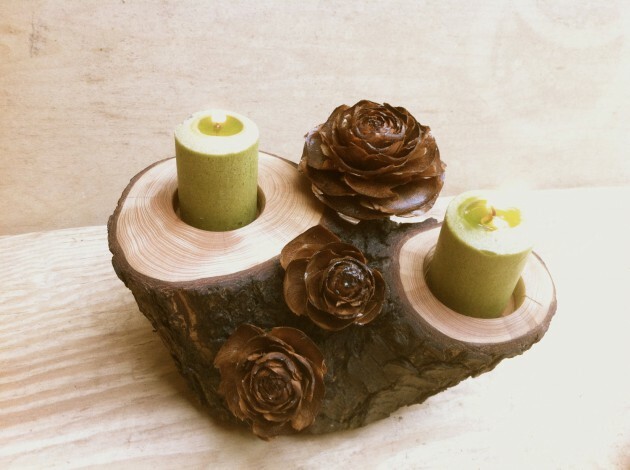 Look Grandma, I made a candle holder for you to use at home! 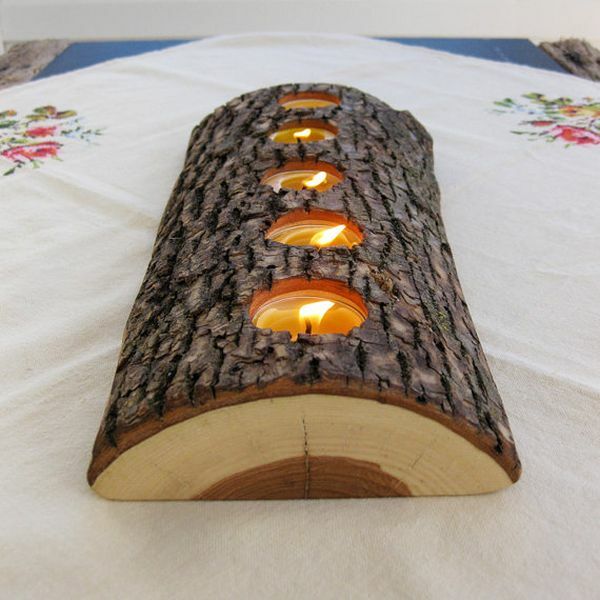 This flaming tea light candle fits snugly inside the birch wood log. I bet it could burn for hours unattended. 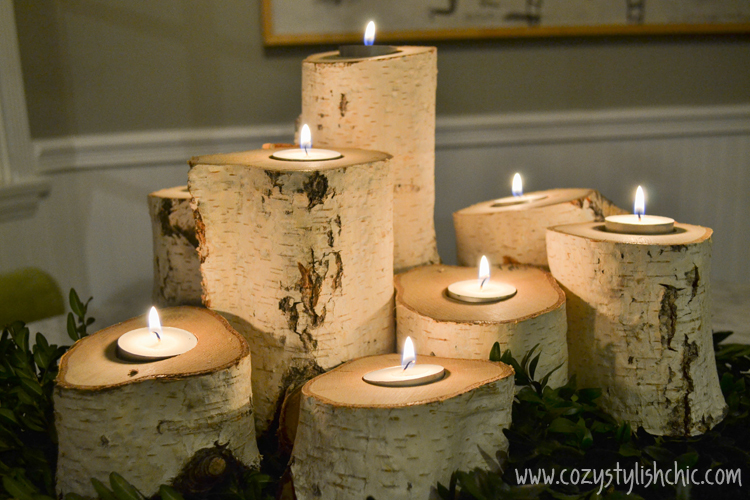 Put tea candles in all of the firewood, and then light them for a truly magical and festive display of light and energy. Some people choose to take the votive candles outside to the pile of firewood. 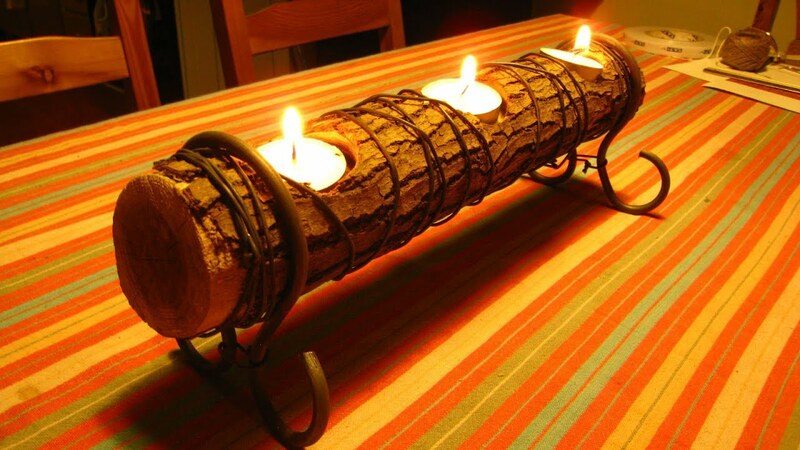 Kindling also makes an attractive candle holder if you wrap it around an open flame. This dead pine branch with the pine cones still attached to it will make an excellent place to contain these two lit candles. Did you know you can just pull a center piece out of the fireplace? Such ingenuity. 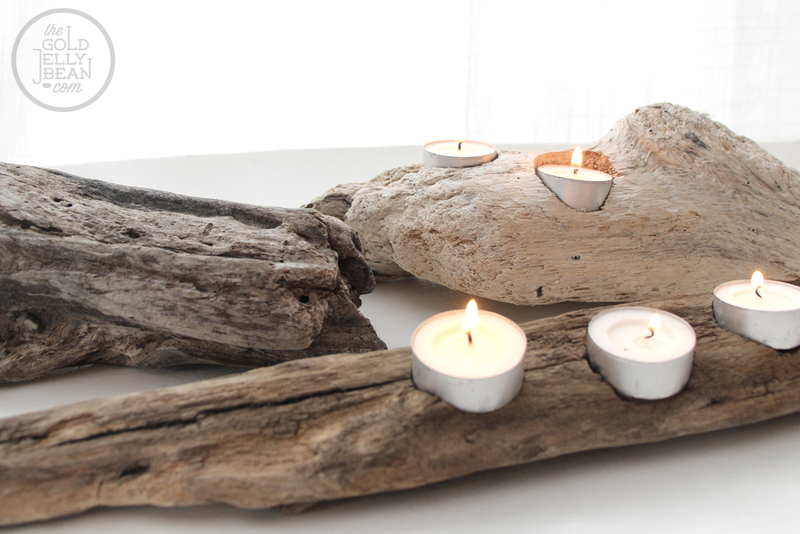 Apparently driftwood is ideal for both bonfires and holding candles on fire inside your multi-million dollar beach house. This is such a good way to build a campfire. Here the holes drill inside the log are more evenly spaced allowing for a more fluid air flow around each flame. This charming wooden candelabra dipped in gold paint will surely catch fire, I mean their eye.